Is the Bible inerrant? There have been errors in copying and translation, but were there contradictions in the original manuscripts? Does it matter? 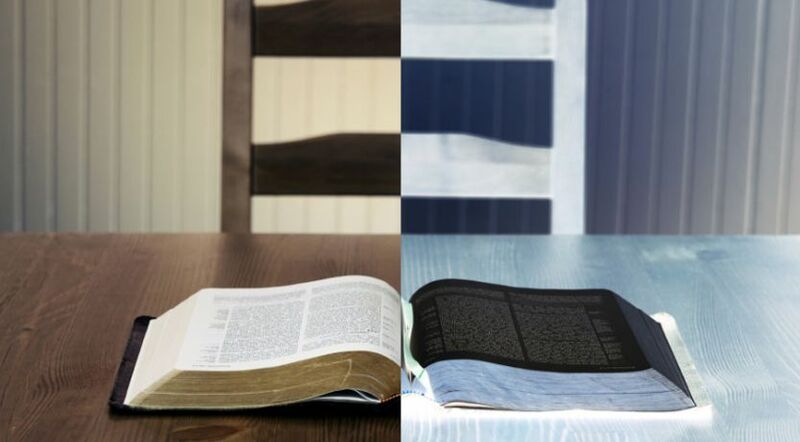 As this article will show, we believe the Bible was perfect and infallible as it was originally written. This position is often known as belief in the inerrancy of the Bible. A definition of inerrancy is “incapable of mistakes” (Encarta Dictionary). If this definition is applicable to the Holy Bible, then any claims of errors in the Bible must actually be only apparent contradictions alleged by those who misunderstand it. Below are three bedrock scriptures that claim inerrancy for the Bible. 2 Peter 1:20-21: “Knowing this first, that no prophecy of Scripture is of any private interpretation, for prophecy never came by the will of man, but holy men of God spoke as they were moved by the Holy Spirit” (emphasis added throughout, unless otherwise noted). With this backdrop, let’s consider some apparent contradictions that skeptics claim to have found in the Bible. We will see that the alleged contradictions in the Bible can be resolved. Which were created first—animals or Adam? Genesis 1:25-26: “And God made the beast of the earth according to its kind, cattle according to its kind, and everything that creeps on the earth according to its kind. And God saw that it was good. Then God said, ‘Let Us make man in Our image, according to Our likeness; let them have dominion over the fish of the sea, over the birds of the air, and over the cattle, over all the earth and over every creeping thing that creeps on the earth’” (emphasis added throughout except where noted). Genesis 1 places the creation of animals before Adam. But is this order reversed in Genesis 2? Genesis 2:19 is rendered more clearly in other translations, “Now out of the ground the LORD God had formed every beast of the field” (English Standard Version, New International Version). This rendering is permitted, according to the context of the Hebrew verb “formed” (Believer’s Bible Commentary). The record in Genesis 1 determines that the context of “had formed” is appropriate in chapter 2. Genesis 2 covers the naming of the animals, which occurred after Adam was created. A further examination of chapter 2 also reveals the omission of two types of creatures that were included in chapter 1—fish and creeping things. However, this is not an error because chapter 2 was not written to repeat, or compete with, chapter 1. Genesis 1 provides a complete record of God’s creative work. And Genesis 2, evidently, mentions the naming of those creatures that were more likely to interact with or be raised or trained by Adam. There’s nothing contradictory here. Answer, or don’t answer, a fool? These seemingly contradictory proverbs are driven by two different scenarios, alluded to by the clauses at the end of these proverbs. First, verse 4 forbids an answer “lest you also be like him.” Those with contentious attitudes are typically more interested in baiting one into an argument and venting emotions, as opposed to sincerely seeking an answer to a question. As noted in Proverbs 17:12, “Let a man meet a bear robbed of her cubs, rather than a fool in his folly.” A bear, at least, would have a legitimate reason for her fury. But the fool here will endlessly attack those who disagree with him, regardless of who’s right or wrong. On the other hand, Proverbs 26:5 instructs us to answer a foolish one “lest he be wise in his own eyes.” In this scenario, answering is productive in that it allows one to avoid arrogance and conceit. This is made possible by the foolish one being willing to see his error. It takes discernment to know which of these proverbs applies to a given situation. “If any of you lacks wisdom, let him ask of God, who gives to all liberally and without reproach, and it will be given to him” (James 1:5). Conflicting genealogies given for Christ? The genealogy in Matthew’s Gospel doesn’t match the list in Luke’s Gospel. For example, consider the stepfather of Christ, Joseph. Matthew 1 says, “Jacob begot Joseph the husband of Mary” (verse 16). But Luke 3 appears to say that Joseph was “the son of Heli” (verse 23, italics in the original). However, “the son” (Luke 3:23) is in italics, meaning that translators inserted these words in an attempt to add clarity. While it is true that males are generally implied in genealogical records, verse 23 also includes an important qualifier: “being (as was supposed) the son of Joseph” (in this verse “son” is not italicized). Mary was Jesus’ only biological parent, since she was still a virgin when He was born. Therefore, Luke 3 apparently provides the genealogy of Mary, the daughter of Heli. Otherwise we would not have an unbroken genealogy for Christ that included His biological parent. Both accounts reinforce the fact that Jesus was of the Davidic “Root of Jesse,” as prophesied (Isaiah 11:10). When was Jesus Christ crucified? “Now it was the third hour, and they crucified Him” (Mark 15:25). “Now it was the Preparation Day of the Passover, and about the sixth hour. And he said to the Jews, ‘Behold your King!’” (John 19:14). The Jewish method of reckoning time began counting 12 hours of daylight from sunrise (which was about 6 a.m. at that time of year). So Mark indicates that He was “crucified” at the “third hour” (9 a.m.). But what happened at John’s “sixth hour”? First, we’ll consider whether John also uses the Jewish time scale. Historians date John’s Gospel to be about 30 years later than the first three Gospels. By that time, John had moved from the area of Jerusalem to Ephesus, a predominantly gentile region. For example, his audience was so heavily gentile that he found it necessary to provide a definition of the word “Rabbi” (John 1:38). Therefore, it’s not farfetched that John would have used the Roman time scale in which, as in much of the world today, the “sixth hour” corresponds to 6 a.m. An official Jewish hearing was held at sunrise, or “when morning came,” after which they “delivered Him to Pontius Pilate” (Matthew 27:1-2). John adds that “it was early morning” (John 18:28). So John chose to include the official hearings that began at 6 a.m., leading to Pilate turning Him over to be crucified at 9 a.m.
Dr. Archer notes, “So what would be 6:00 A.M. according to the Roman civil day (and likewise according to our modern practice) would be the first hour according to Athenian and Hebrew practice. Thus it was 9:00 A.M. when Christ’s trial was winding up, and He was led away to Golgotha to be crucified. This perception of a different system of hour numbering removes all discrepancy between John and the Synoptics” (1982, p. 364). This is not a contradiction in the Bible as some believe. Did women buy spices before or after the Sabbath? The law prohibited bodies from being left on a cross during the weekly Sabbath (Saturday) or an annual “high day” on another day of the week. Actually, this speaks to the relevancy of noting that it was a “high day,” as this annual Sabbath was during the week, before the weekly Sabbath. It was the day after the annual Sabbath that the women “bought” and prepared spices (Mark 16:1). This was followed by another Sabbath when “they rested on the Sabbath [Saturday] according to the commandment” (Luke 23:56). Lastly, the women brought the spices to the tomb “on the first day of the week” (Mark 16:2; Luke 24:1). In summary, the day that they bought spices (after the annual Sabbath) is different from the day that they brought spices to the tomb (after the weekly Sabbath). The chronology involving the women with the spices is one of the keys to calculating the crucial “sign” of “three days and three nights” (72 hours) that Christ spent in the grave (Matthew 12:38-40). As Gleason L. Archer, in New International Encyclopedia of Bible Difficulties, wrote: “As I have dealt with one apparent discrepancy after another and have studied the alleged contradictions between the biblical record and the evidence of linguistics, archaeology, or science, my confidence in the trustworthiness of Scripture has been repeatedly verified and strengthened by the discovery that almost every problem in Scripture that has ever been discovered by man, from ancient times until now, has been dealt with in a completely satisfactory manner by the biblical text itself—or else by objective archaeological information. The deductions that may be validly drawn from ancient Egyptian, Sumerian, or Akkadian documents all harmonize with the biblical record” (p. 12). We plan to cover other apparent contradictions in the Bible on this site, and you are welcome to contact us with Bible questions as well. Who Led David to Number Israel: God or Satan? Road to Damascus: A Bible Contradiction?